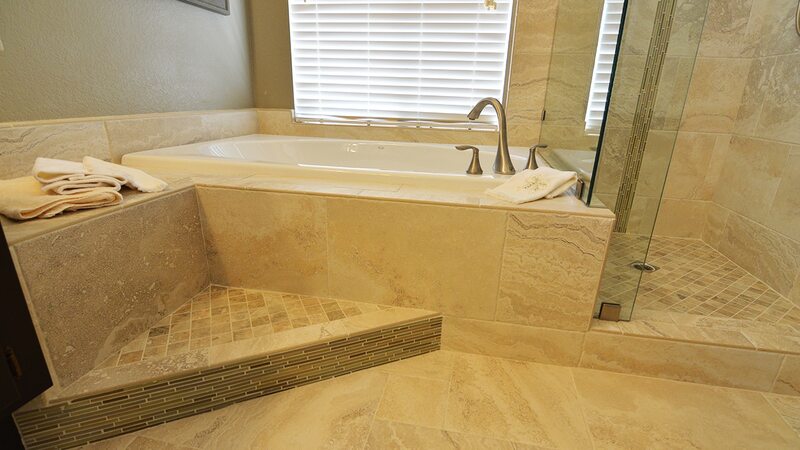 This eclectic bathroom in Upland incorporates a 12×24 porcelain that looks like vein cut travertine. 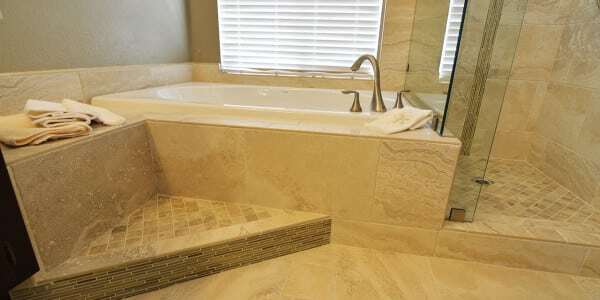 It is set in a horizontal brick pattern. 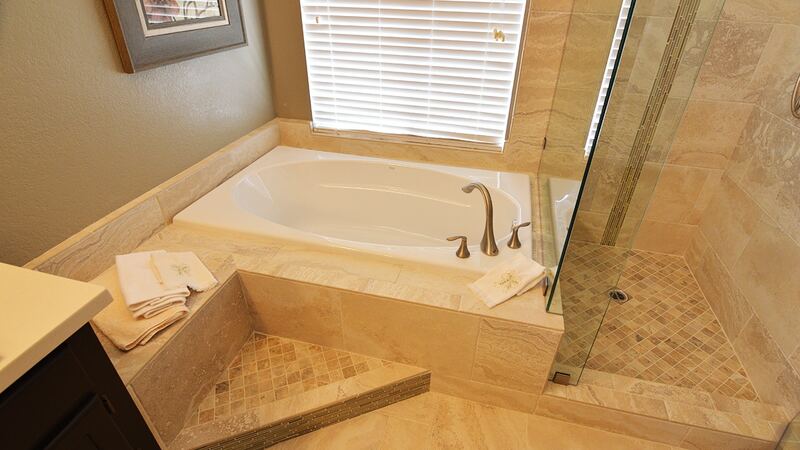 The tub has a custom step built in the corner and at a diagonal to be fully functional and still be out of the way. 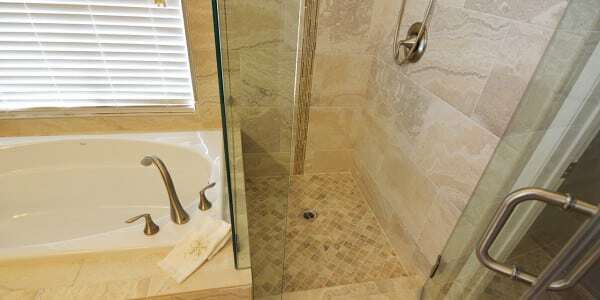 A hand shower instead of a traditional shower head was used and one very functional niche. 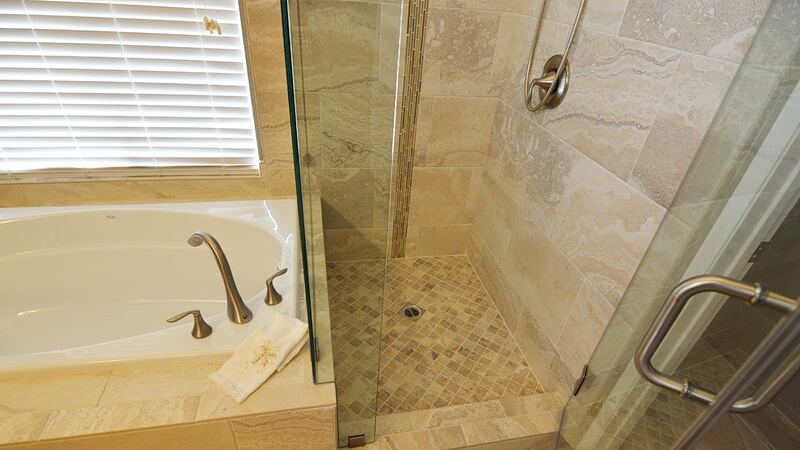 The floor tile is the same porcelain as the tub and shower but in 4 different sizes and set in a Versailles pattern. 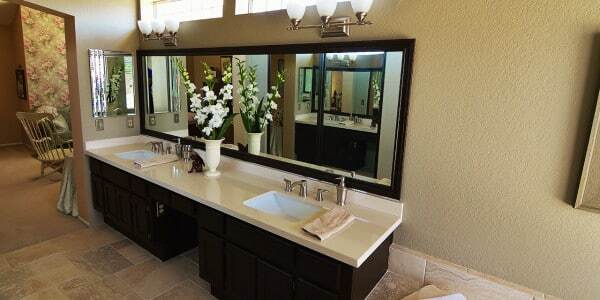 The cabinets are original and have been painted to provide a contrast with both the floor and the quartz countertops. 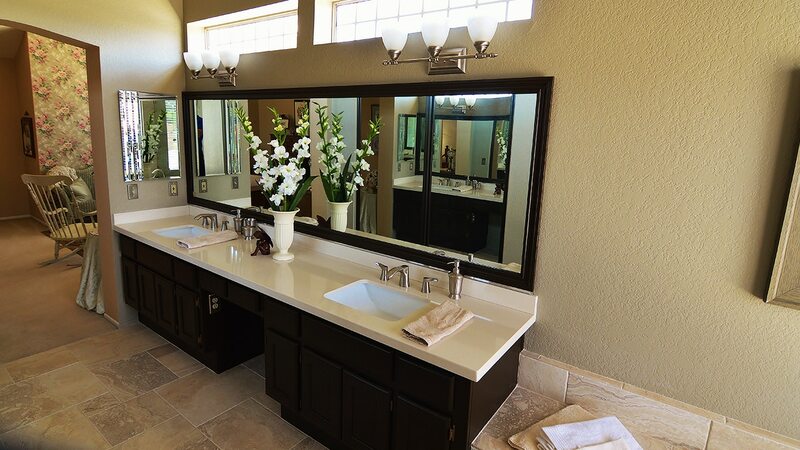 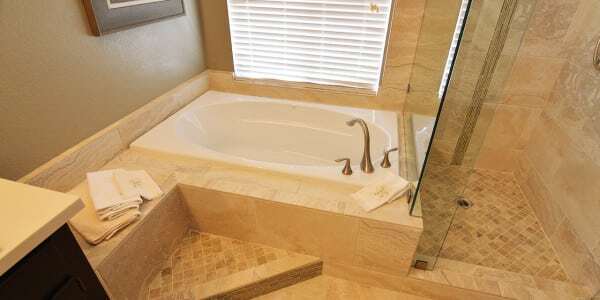 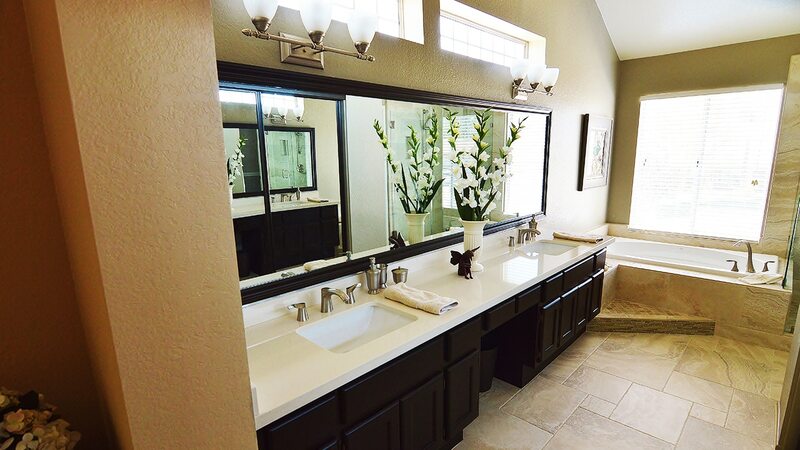 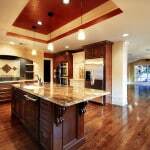 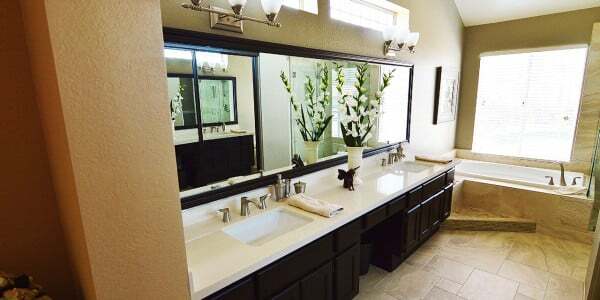 Home Accents is a full service bathroom remodeling company. 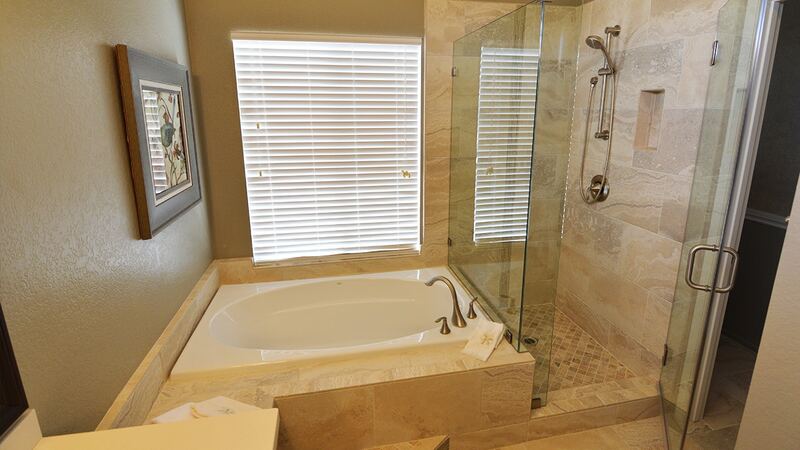 One of the ways that makes us unique is the way we build showers. 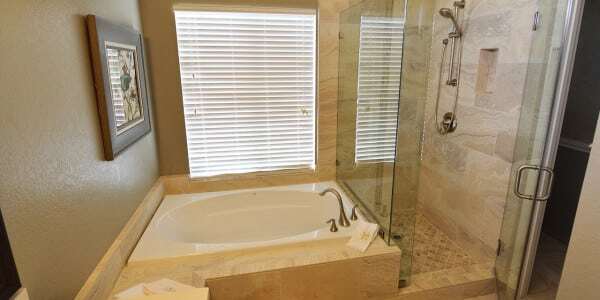 We build custom showers, starting from scratch, any size, any shape.